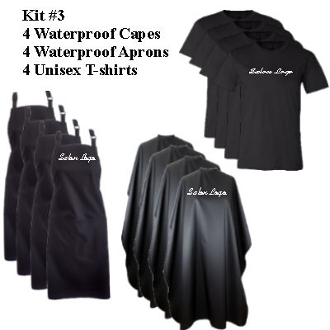 This Custom Kit includes 4 DS Waterproof Capes, 4 DS Waterproof Aprons, & 4 Unisex T-shirts with your Salon Logo!! Both the cape and apron are bleach resistant and designed to keep you and your client cool and comfortable! This will become your new favorite Tee! It's a perfect everyday basic!